This week we learned that the editors of The City Reporter, a newspaper in Southern Russia, decided that people get too much bad news. So, on December 1st, they had a “good news day.” Only good news was published, like reports that traffic was moving normally in spite of a snowstorm. Their audience dropped by 2/3rds. They learned the hard way that people want junk. 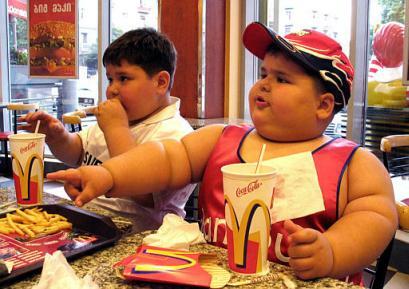 And, for no reason whatsoever, there has been a lot of news this week about junk food. So we’re giving the people what they want. According to the Times, the Dalai Lama carries a “little treasure” bag with him that is filled with Werther’s Originals, a German-made caramel candy. Innocent enough. On an historical note, the BBC published this week that Hitler was fond of compressed Bulgarian peasants’ faeces, which, he claimed, eased his perpetual flatulence. Jean Bedel Bokassa of the Central African Republic enjoyed a fresh human corpse stuffed with rice and flambeed in gin. Yum. Red Bull energy drink (containing Glucuronolactone, an artificially manufactured stimulant developed in the early 60’s by the American Government that causes severe migraines and brain tumors). Yep, these are the foods of choice for ISIS. Whether it explains why they hate America, or whether it suggests that Michele Obama is waging an effective secret war against them, is up for debate. « Can You Pass This Grand Jury Screening Test?